Good news for parents! 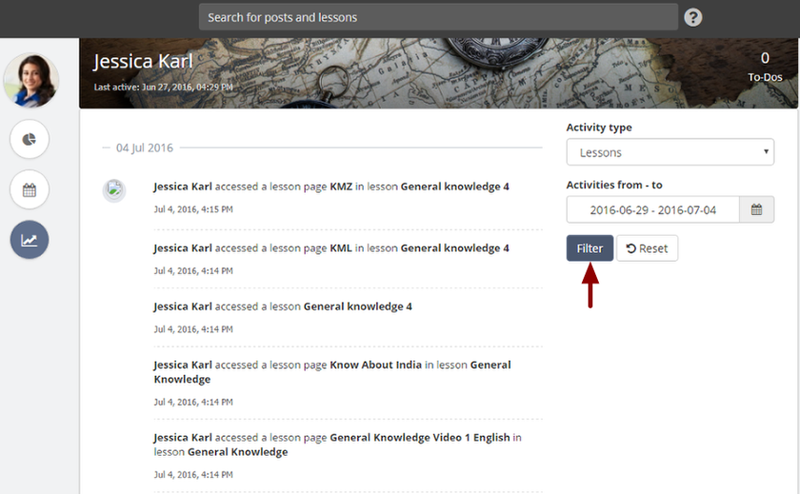 Now as a parent, you can track your child's activity within Teamie with much more ease. When you log into Teamie, you'll land on the parent home page. On this page, the name of your child who is associated with your account is shown. No other content of your child’s account will be shown here. 1. As soon as you log into Teamie, you will see a list of your children on the home page. The Summary Last Accessed area displays the date and time at which your child last accessed the site. Count of upcoming To-Dos (task, lessons and assessments) that your child has to attempt. In case you are proud parents of more than one child and have enrolled them on Teamie, then you can toggle between your children’s activities by clicking on their name on the home page. 3. Click Overview to see the quick stats of your child's activities. Class Feed: Displays the number of thoughts shared; number of question asked and how many questions were answered correctly by your child. 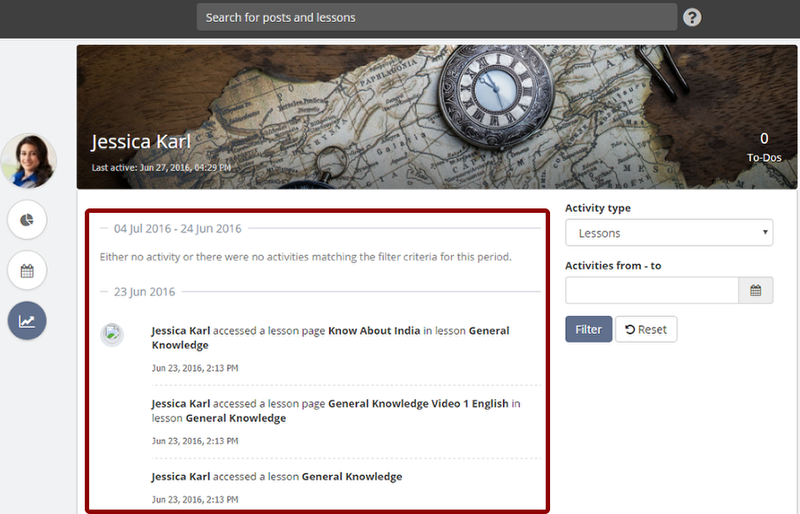 Lessons: Displays the number of lessons completely read by your child. Quizzes: Displays the count of quizzes taken/attempted by your child. The Scores & Grades: area shows the list of all the graded classrooms. 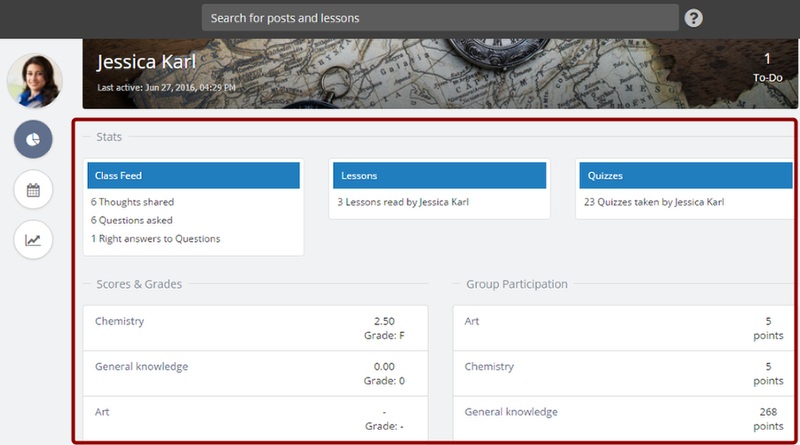 Click on a classroom to view the scores & grade information your child has obtained in that classroom. Note: When your child starts attempting an assessment, you will be able to view his/her progress. 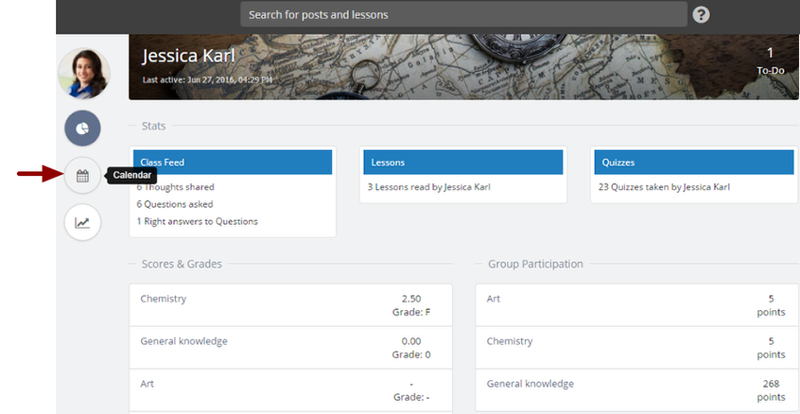 When the task is completed, instructors can assign marks, publish them and finally give a grade for all the assessments in a given classroom for your child's performance. Such classrooms are referred to graded classrooms. 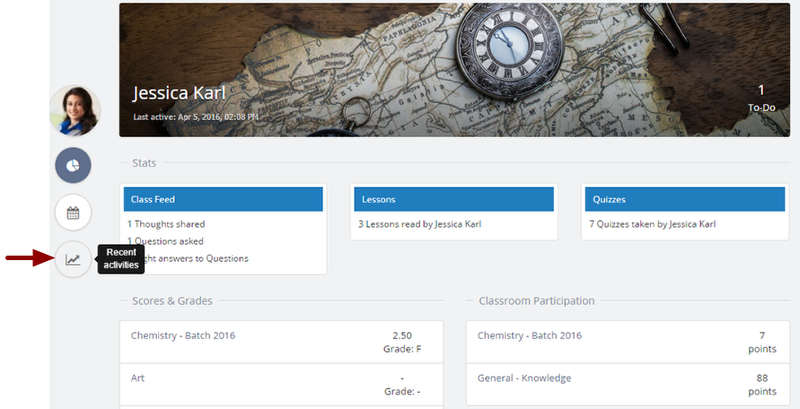 The Classroom Participation: Displays a list of all of the classrooms that your child has accessed or participated till date, and the total Teamie points he/she has earned in those classrooms. 5. 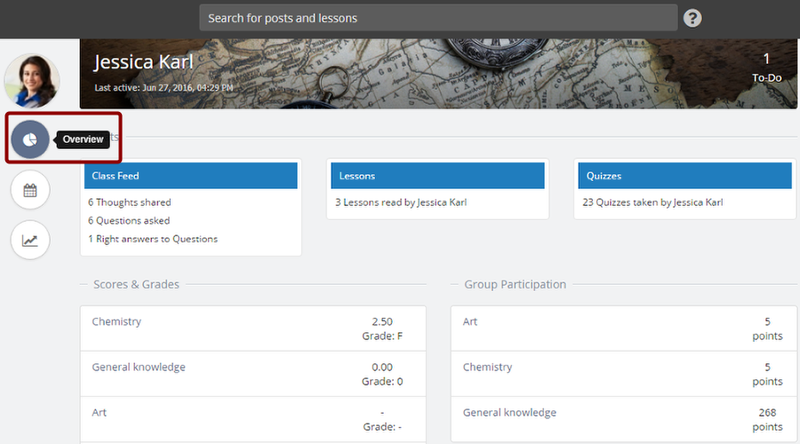 Click on a classroom’s name to see its gradebook along with the scores & grade that your child has obtained in that classroom. 6. Clicking on the classroom name opens a new tab where you can see your child’s gradebook along with his/her scores & grade. Note: Parent can only see Scores & Grade of their child’s classroom once the final marks are published by the instructors. 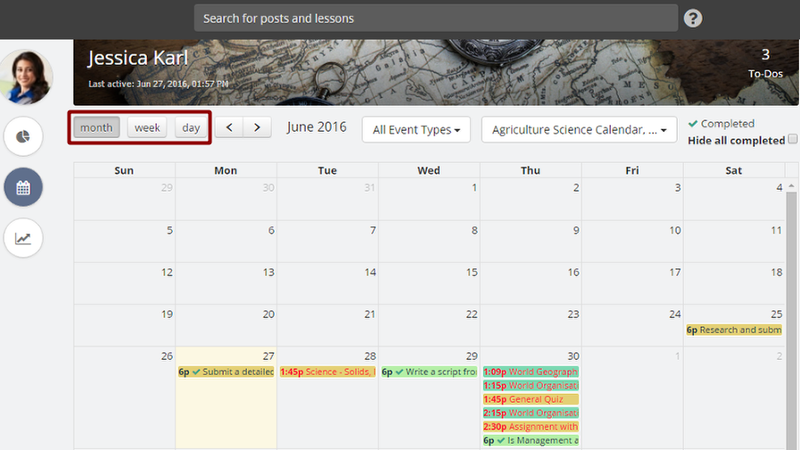 By default, the Teamie calendar displays events of all of your children’s classrooms. 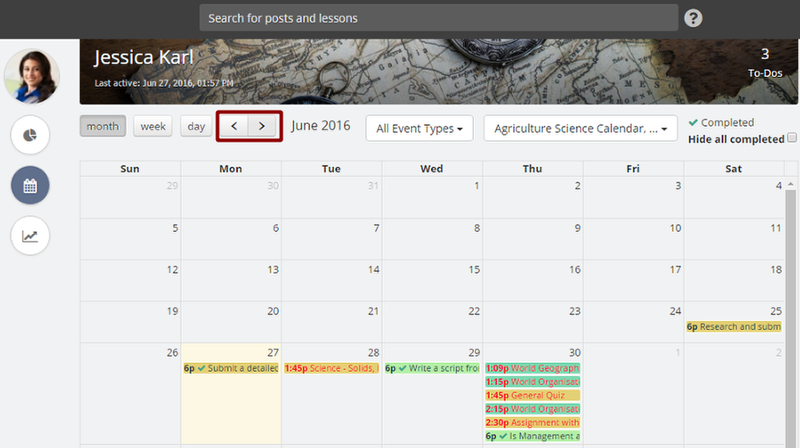 However, you can filter the calendar events to view events of certain classrooms at any given point of time. 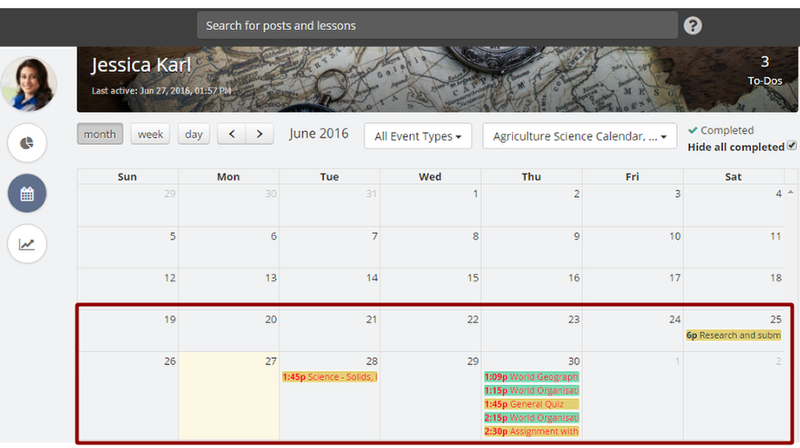 This article will guide you on how to access and view your child's calendar events. 2. 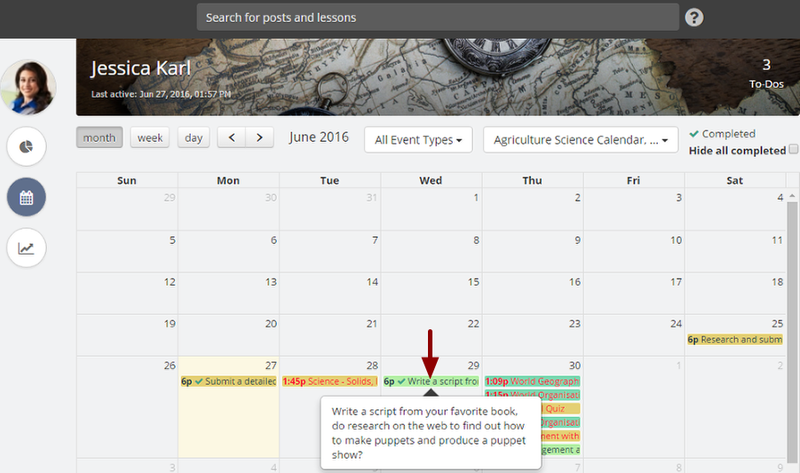 By default, the calendar displays events of all your child's classrooms. 3. Click the events Title to view the full description. 4. 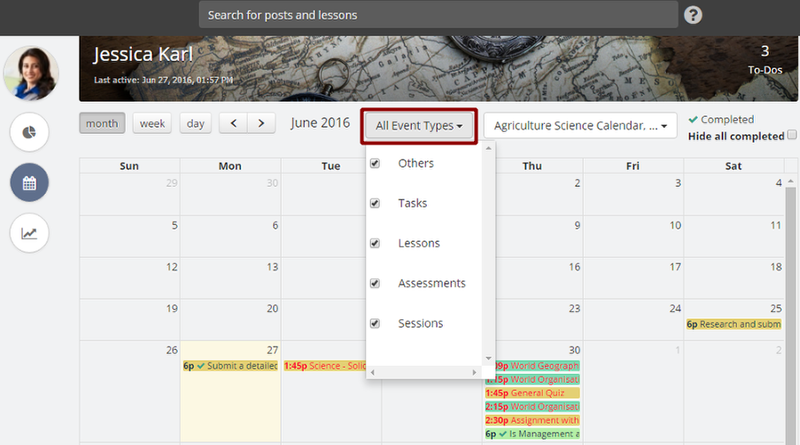 Click All Event Types filter to filter the calendar events on event basis. By default, all events are selected. 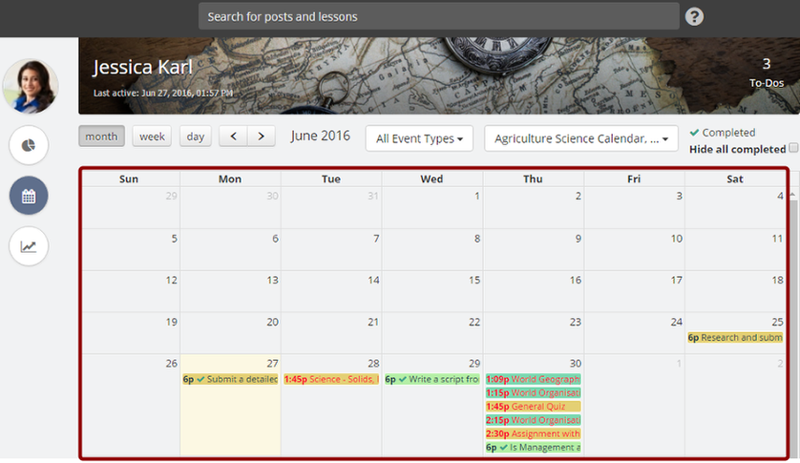 Others: Apply this filter to view all the calendar events which an instructor has created in your child's classrooms. 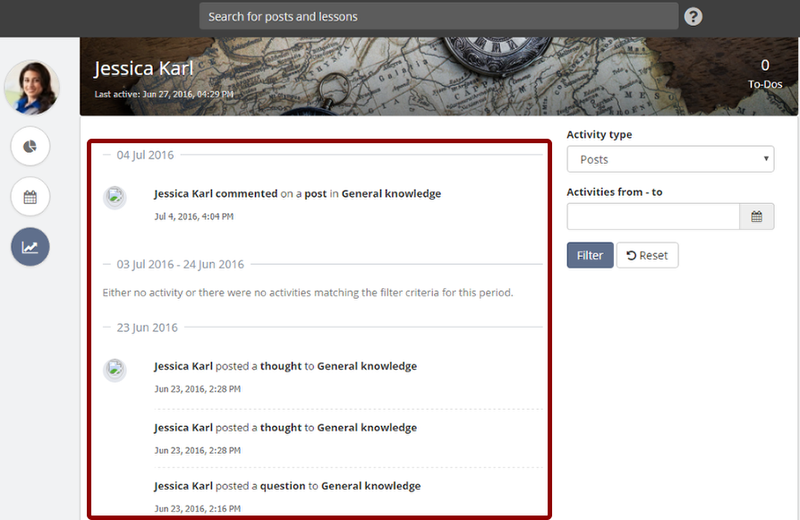 Tasks: Apply this filter to view the list of tasks/homework that your child has completed or is yet to complete. 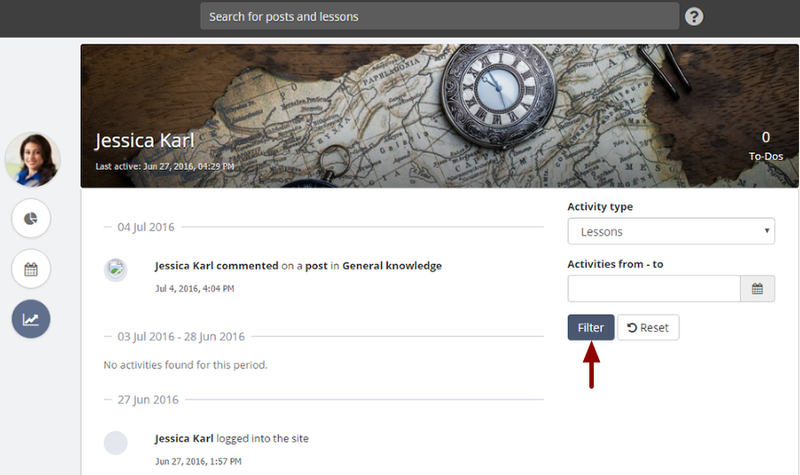 Lessons: Apply this filter to view the list of lessons created by an instructor in your child's classroom. 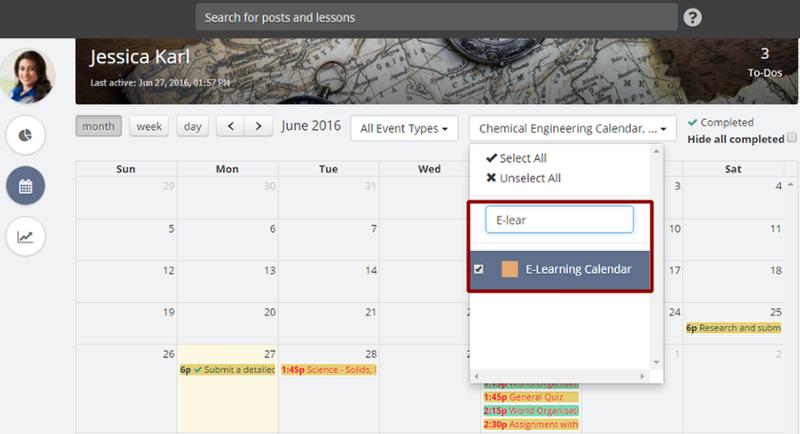 Note: lessons without Available From and Available Till dates will not appear in calendar view. Assessments: Apply this filter to view the list of assessments created in your child's classrooms. 5. 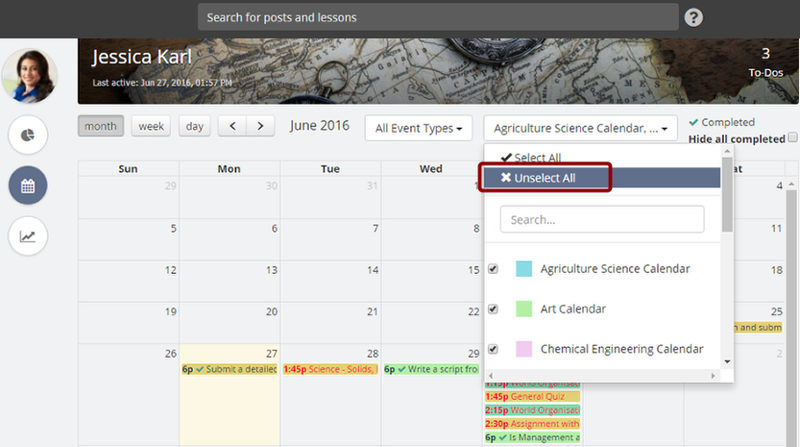 To narrow down your search, you can tick/untick an event from the drop-down menu. This will filter the calendar view accordingly. You'll notice that the moment you un-tick some event types from the drop-down menu, events of such resources will start disappearing automatically from the calendar and you'll see the calendar events of the selected resources type only. 6. 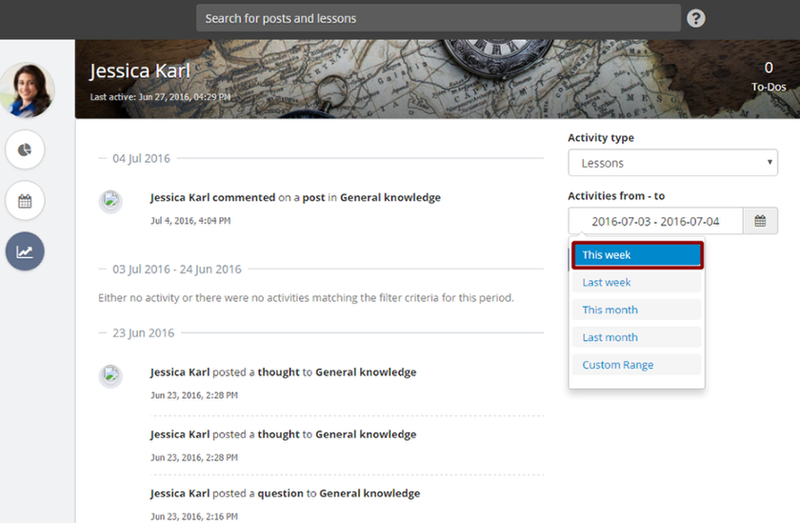 You can see a list of classrooms by clicking the calendar drop-down menu. 7. By default, all classrooms are selected. Click Unselect All to override the default selection and select the classrooms of your choice. 8. 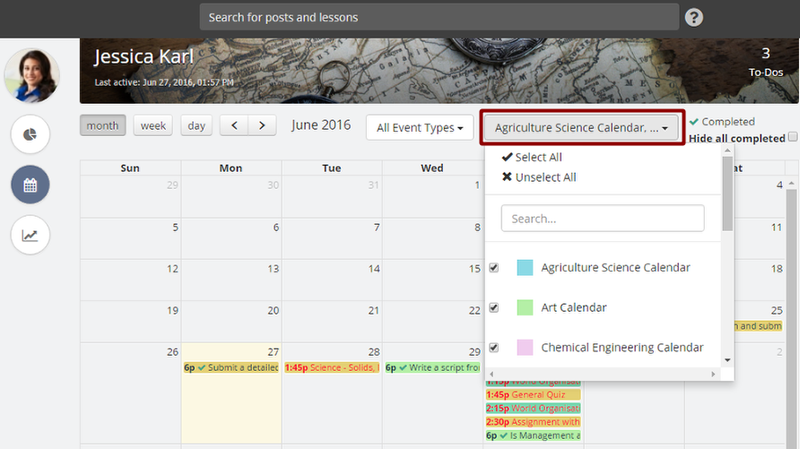 To filter the calendar events of certain classrooms, tick the checkbox of the classrooms you wish to select and un-tick checkboxes of the classroom whose calendar events you don’t wish to see. 9. 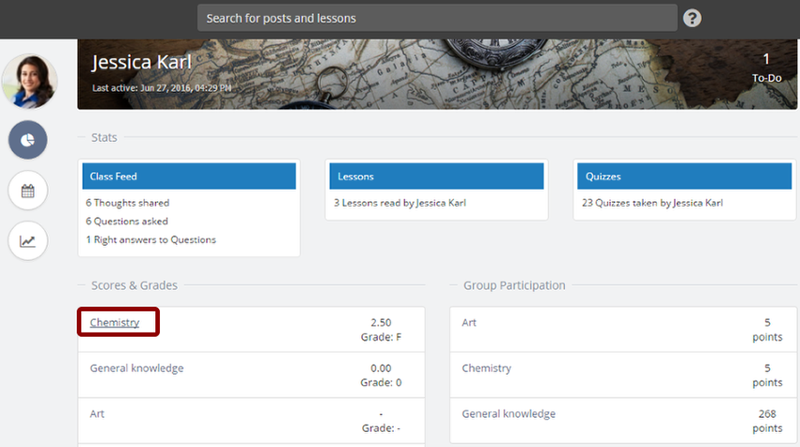 In case you are associated with a lot of classrooms, then you can type in the classroom name in the search box to look for that classroom very quickly and make your selection. 10. You'll notice that the moment you un-tick some classrooms, events of those classrooms start disappearing automatically from the calendar and you'll see the calendar events of the selected classrooms only. Tick Hide all completed checkbox to hide the events that have been marked as done/completed. 11. The moment you tick Hide all complete checkbox as shown in step 8, all completed events will be removed from calendar and you will only see the list of upcoming or overdue events. marks a homework/task post is marked as Mark as done. makes a submission to a quiz/assignment for evaluation. 12. 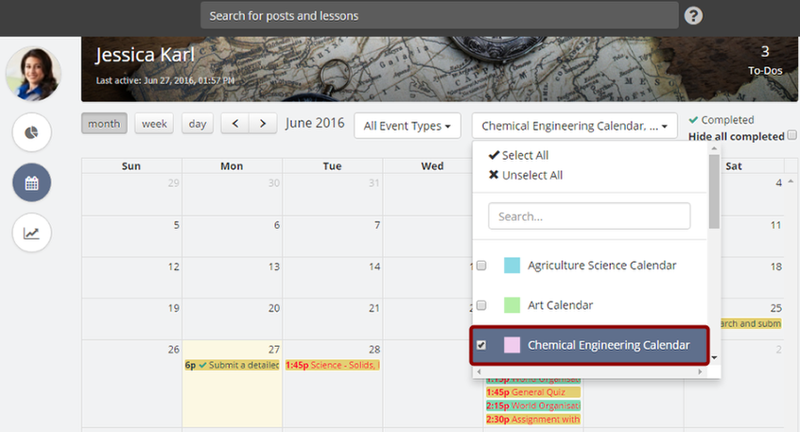 You can filter events and due dates by the Month, Week, or Day basis. 13. 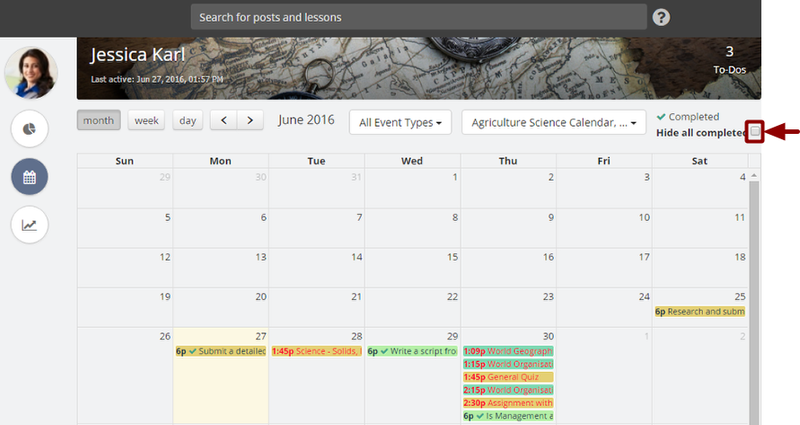 You can also use the calendar’s navigation arrows to view Past or Future month events. 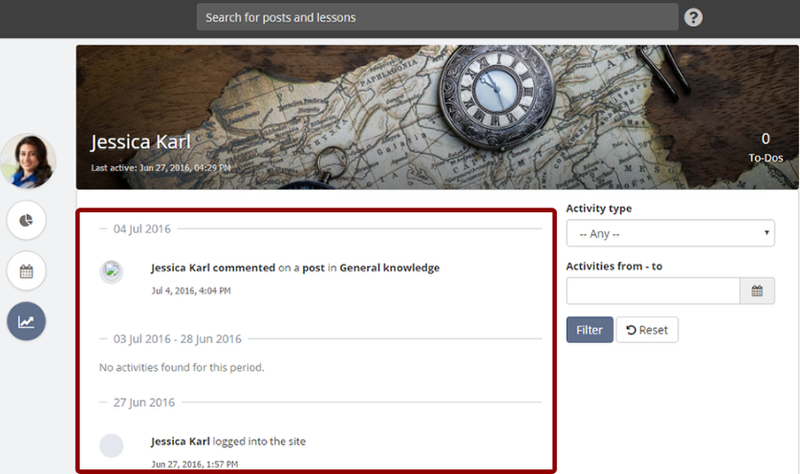 Your child’s Recent activities log shows a list of activities performed by him/her on different resources (like posts, lessons and assessments) within a classroom, in a chronological order. This article will guide you on how to check the recent activities log of your child. 2. On the Recent activities page, you will see the log of activities your child has done on daily basis. 3. 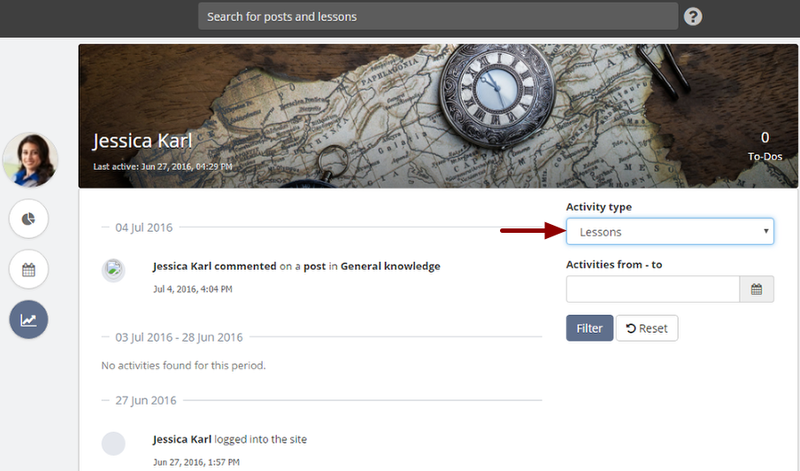 Click Activity type filter at the top-right of the page to select the user role whose recent activities you wish to view. By default, the Activity type filter is set to --any--. 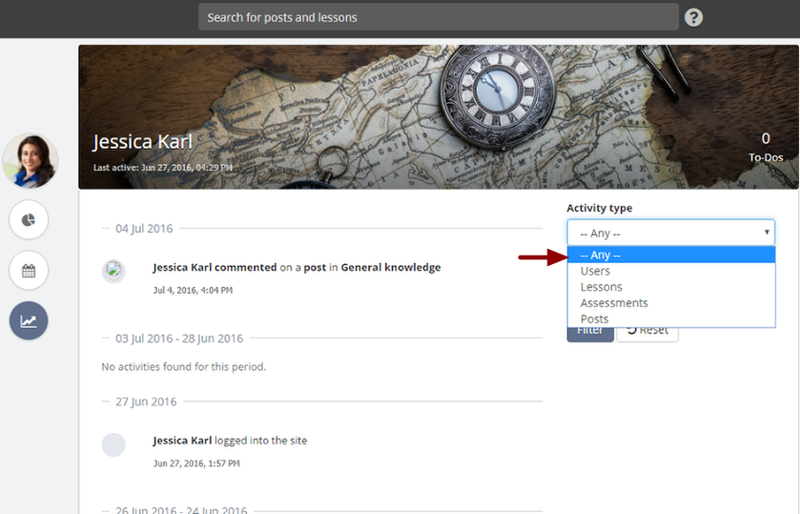 Note: Users filter in the activity type filter is not applicable for parents because users filter action records the activities when certain action takes place on a user's account. 4. 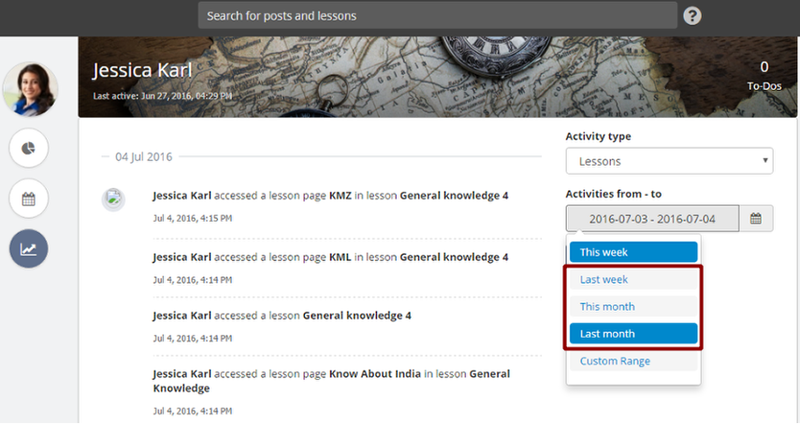 In case you wish to know the number of lessons completely read by your child, then select Lessons from the drop-down menu. 6. You will see the details of lessons your child has read completely. 7. Repeat step 4,5 & 6 to know the details of assessments attempted by your child so far. he/she likes a post made by some other user. 9. You can also apply activity type filter with date range combinations. For eg: you may wish to know how many lessons were read in the current week by your child. 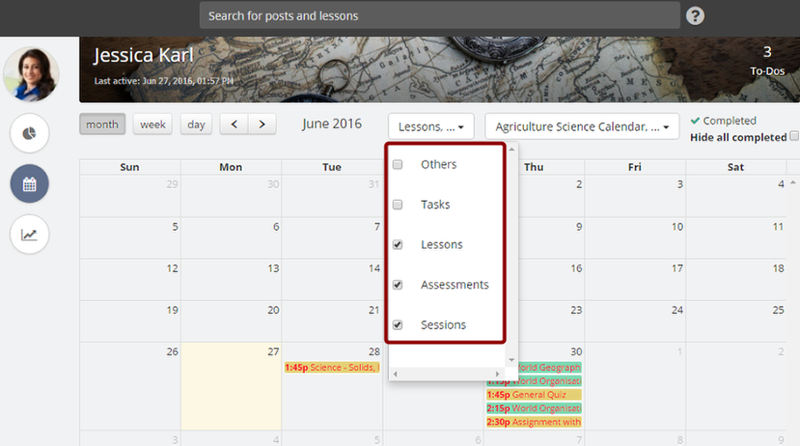 To do this, select Lessons filter first and then select This week filter from the Activities from - to field. 11. You will see a list of lessons that your child has read completely in the current week. 12. Similarly, you can choose other date filter quickly like Last week, This month and Last month. 13. 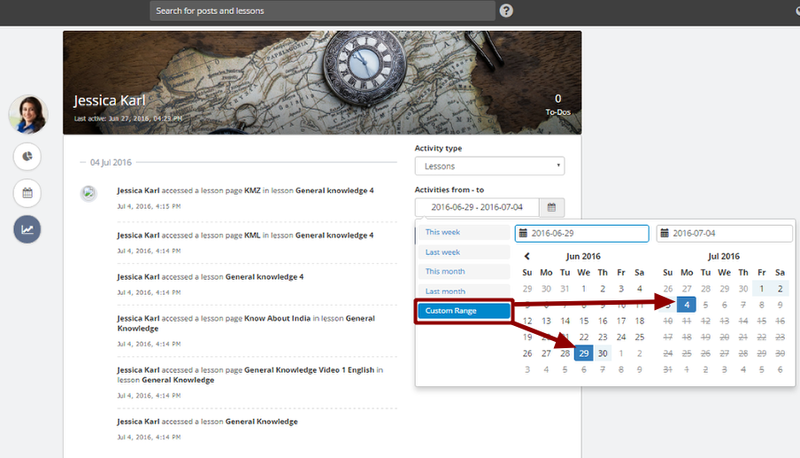 Click Custom Range in order to select a specific period date range from the date picker. 15. The Recent activities log would be filtered based on the selected selected search criteria.